All songs by Donovan P. Leitch, except 02 by Aaron Zeitlin, Sholom Secunda, Arthur S. Kevess, Teddi Schwartz, 05 by Bert Jansch, 06 by Woody Guthrie, 10, 13 and 17 traditional arranged by Donovan P. Leitch, 16 by Jane Bowers, 19 by Buffy Sainte-Marie, 21 by Shawn Phillips and 23 by Mick Softley. · This compilation was released in West Germany. 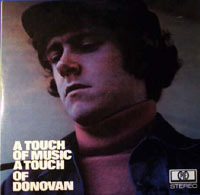 It contains songs from Donovan's two first albums as well as single and EP tracks. · Riding In My Car (The Car Song) is listed as Car Car.